This set is being used as a premium and completely bespoke Glenfiddich tasting set. A number of different materials were tested in order to find the best possible finish and a high level of attention was put into details for a premium effect. 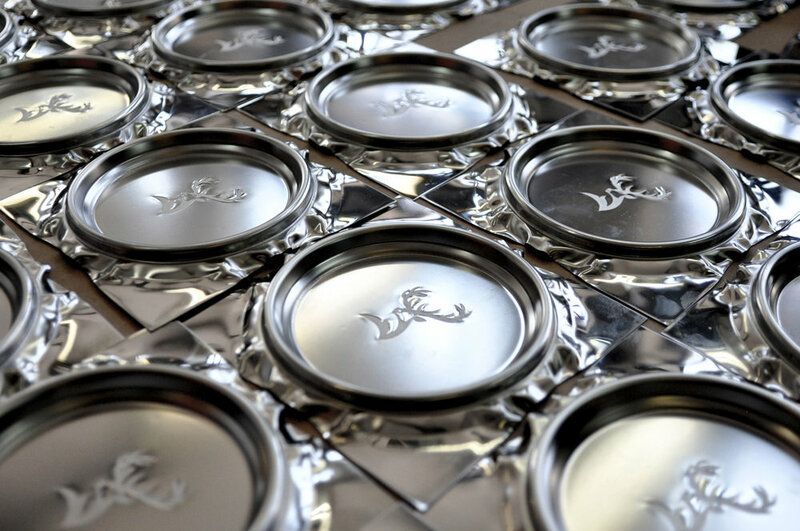 The set consists of a stainless steel tray, coasters and ice tongs with a food grade copper color finish. 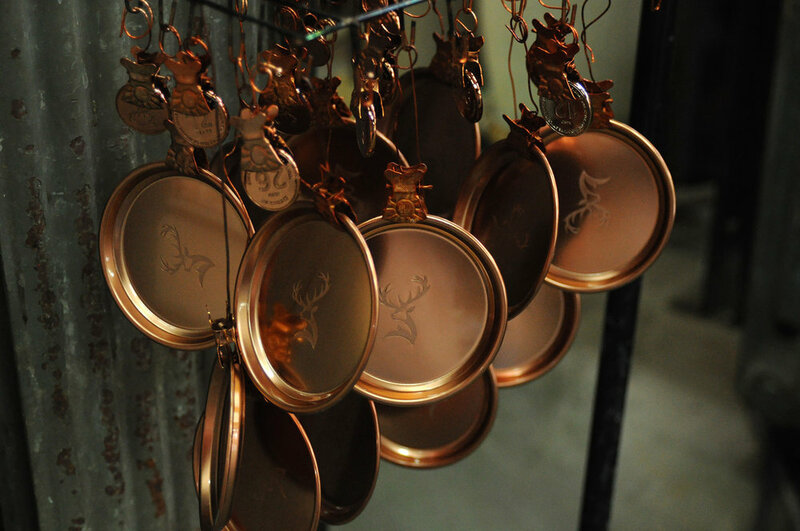 The metal coins represent six differently aged Glenfiddich whiskys. 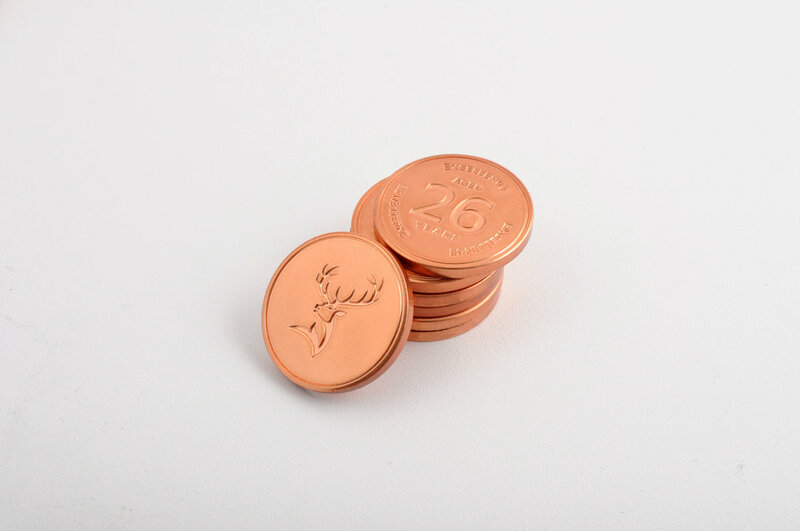 The white tray is made out of wood and contains both a drawer for the six coins and recesses for glasses.